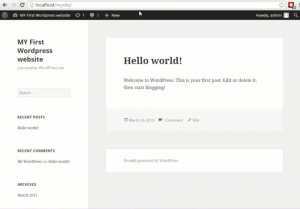 Using Xampp you can make a Local Apache Server with just a few clicks, Here I am going to tell you step by step process that how to setup a local Apache Server using Xampp and how to install WordPress and publish your first website. 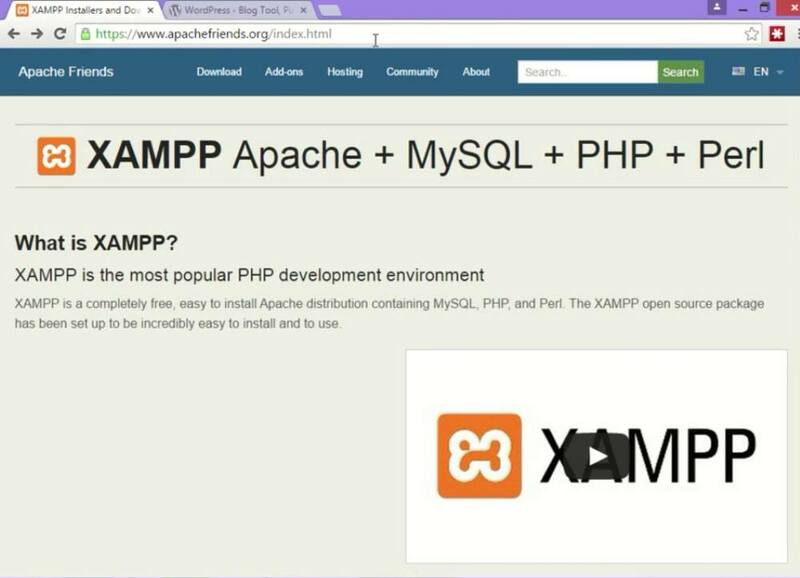 Go to website “www.apachefriends.org” and download Xampp software from there. 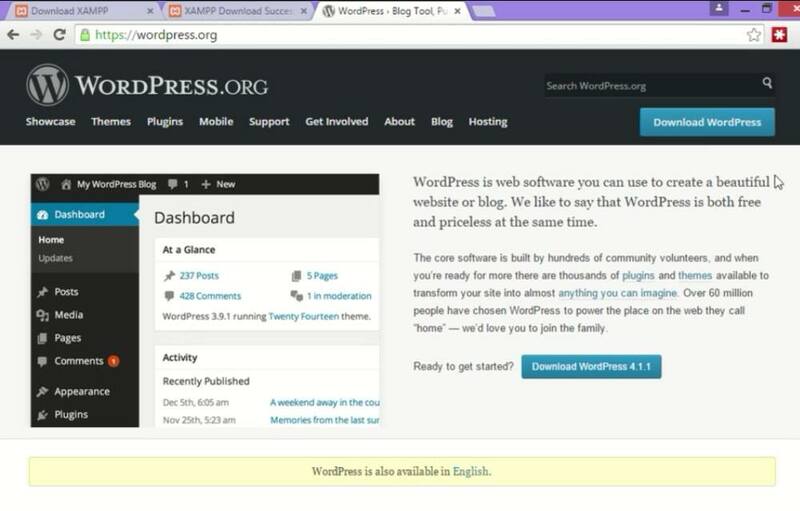 Go to website “wordpress.org” and download WordPress from there. After downloading both these files install Xampp first. 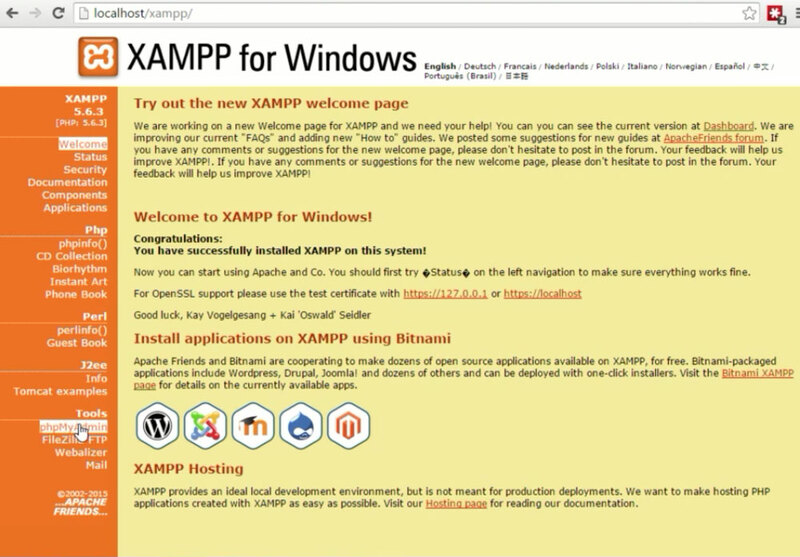 Before installing Xampp make sure that you are not running any application like Skype, Team Viewer or any other application which uses port 80. As port 80 is by default Apache’s default port. 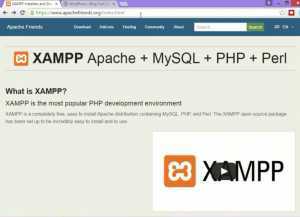 After installing Xampp run the Apache Server and MySQL. Suppose we are going to name our website “mysite”. 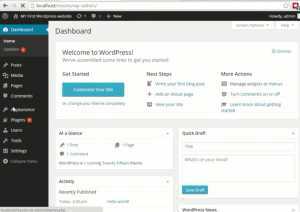 So go to the folder where you have downloaded the WordPress file.Extract that file and rename the “wordpress” folder to “mysite”. Go to “C:\xampp\htdocs” and paste “mysite” folder there. 7. Open your Chrome or Firefox browser and write “localhost”. 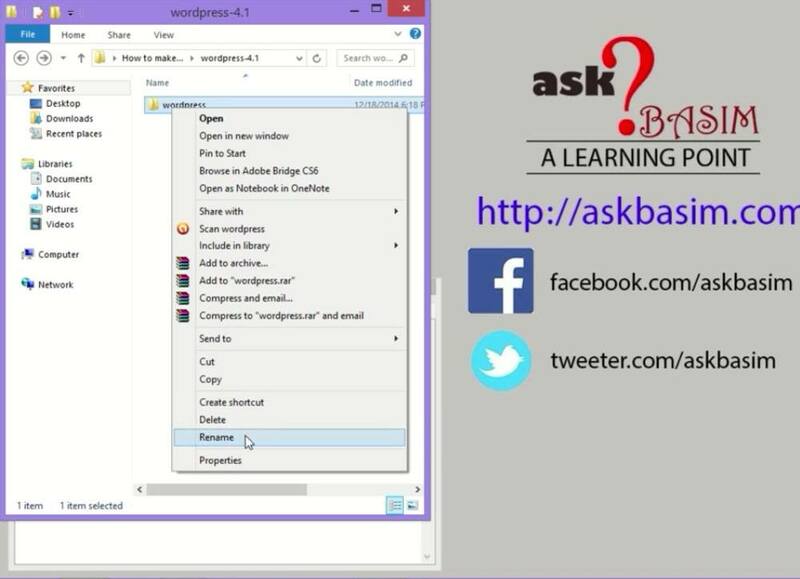 Here it will ask you for Language selection. Select it to English. 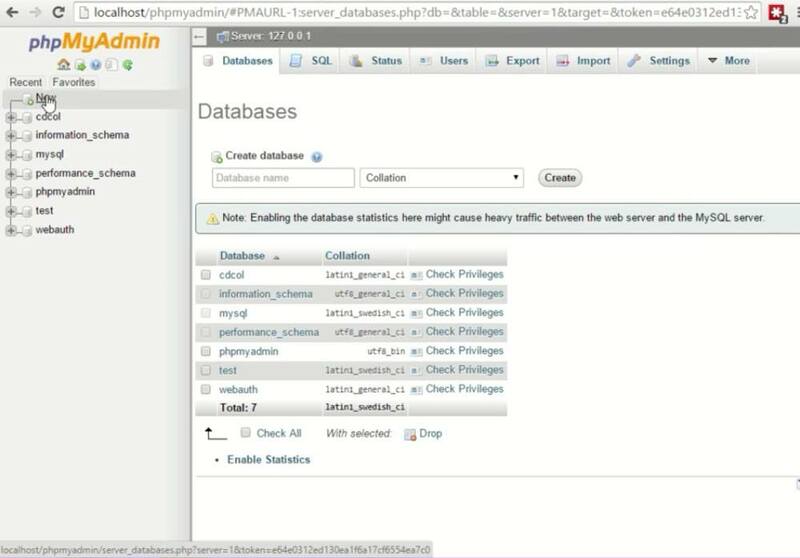 It will take you to phpMyAdmin page. Here click “new” button on the left side. 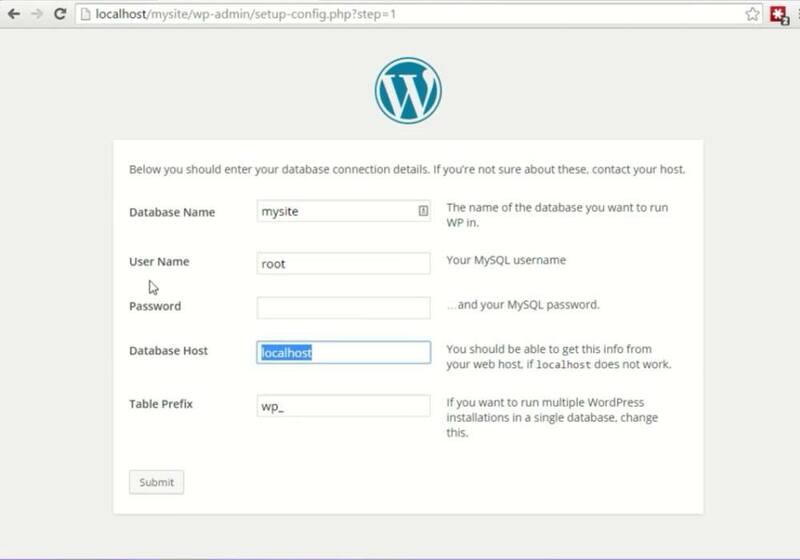 Here we will create our database name “mysite” and click the create button. Our database is now created. Now Open your browser and write “localhost/mysite”. 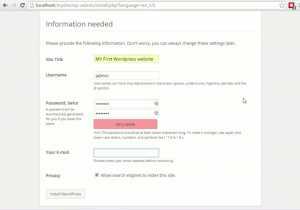 It will take you to WordPress Language selection page. Select English. Then it will take you to database details page. Put the following details and click submit. Now on next page enter your site details. You can use any of your details. 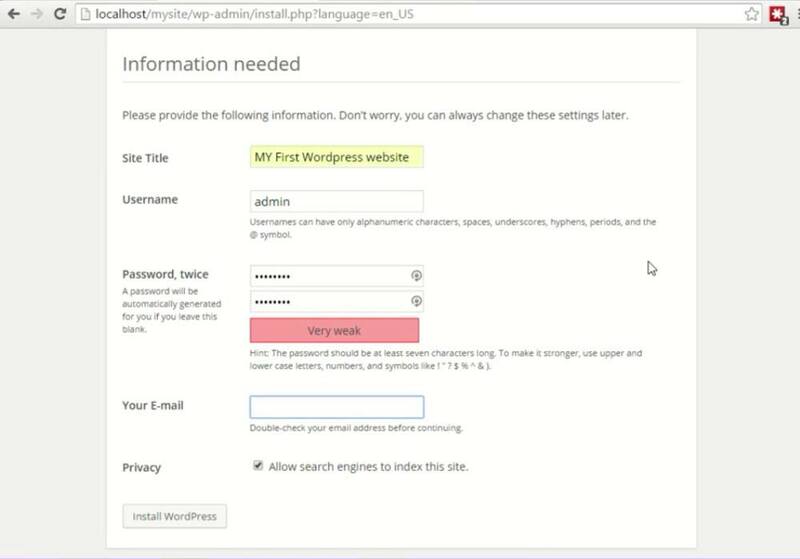 Then click the “Install WordPress” button. 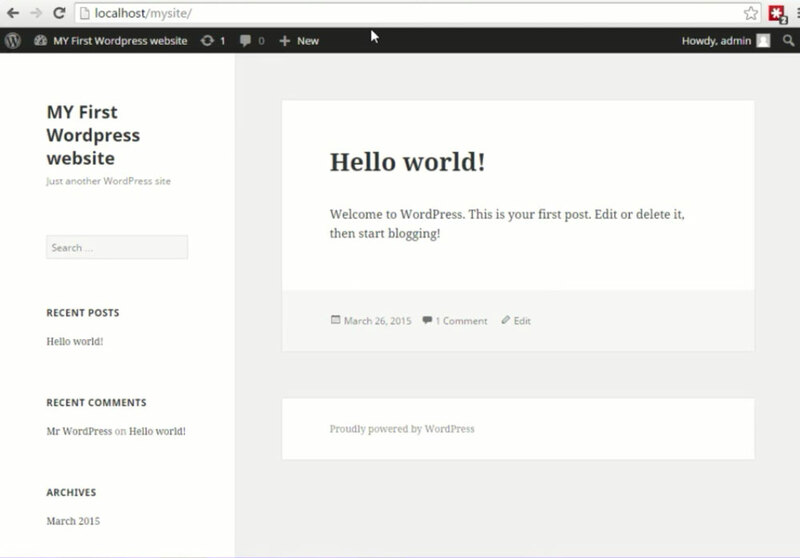 Congrats You have install WordPress successfully. Check Your website on “localhost/mysite”. 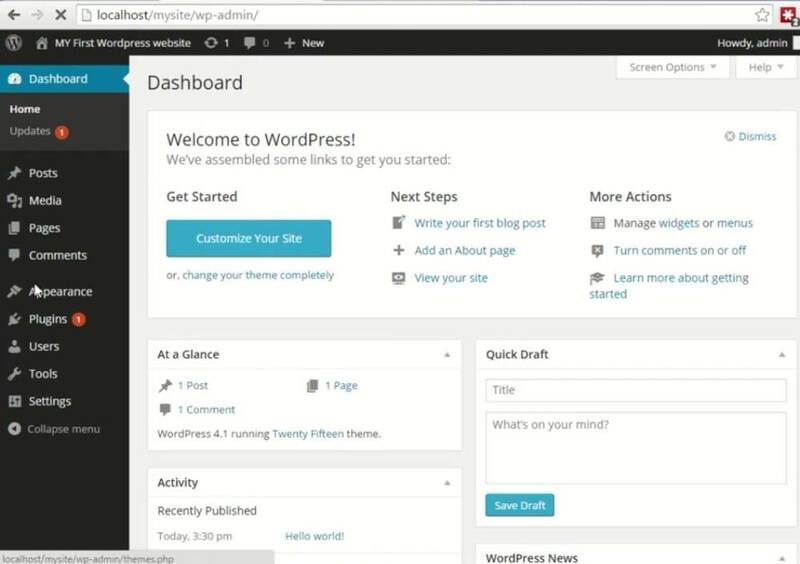 Now you can manage your website my browsing “localhost/mysite/wp-admin”. Wonderful and easy to use instructions Muhammad. 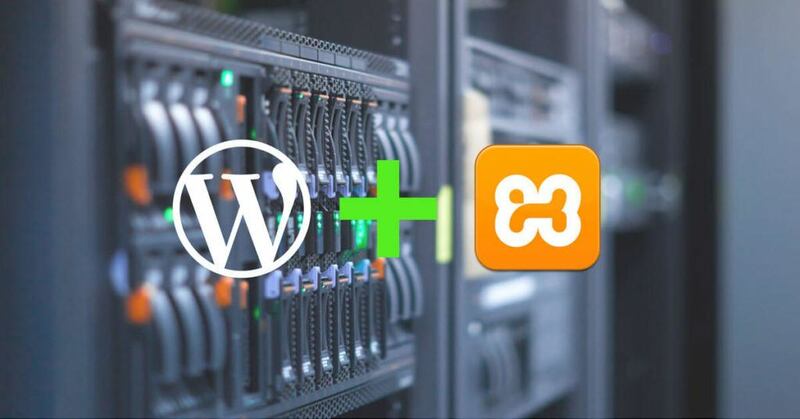 Also do tell me how to migrate WordPress from local host to Hosting. Thanks Nawaz for your appreciation. I will soon upload the said article on your request. That is so nice of you.